Music has the power to uplift us, make us sad, bring back memories and can even cross language barriers. No one knows this better than musicians, and the musicians of North Hastings are being called upon to re-establish the North Hastings Community Band and share their love of music. “As part of a community band, you will meet like-minded people and share in the musical goal of performing for a live audience. The rehearsals are fun and the performances are exhilarating,” says the band's conductor Fred Henderson. Henderson has recently retired as a music teacher and has moved to Ormsby. Not interested in spending his time “just sitting in a chair and reading a book” Henderson wondered whether there was a community band in the area and if they might need another performer or a conductor. The answers to these questions came to him at a retired teachers dinner in Bancroft around Christmas. 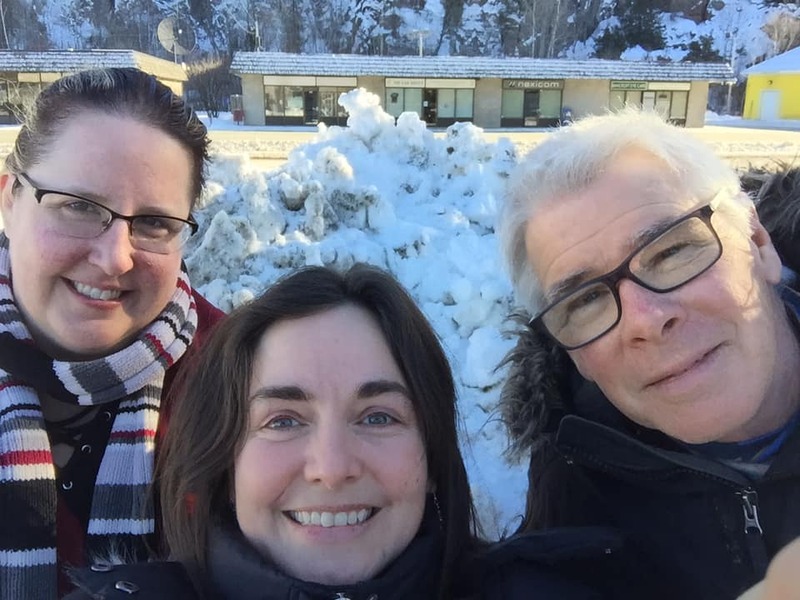 Current music teacher at North Hastings High School Dianne Winmill got right to the point when she was introduced to Henderson and asked, “Would you be interested in starting a community band.” The rest, as they say, is history. Laura Wilson is a local flute player and between her and Winmill, the interest in starting a community band had been a strong for a long time. But with both having families and a full career life neither had the time to organize and conduct a band. Now however, these three musical musketeers are working together to bring their dream to life. Henderson has volunteered to be the band's conductor, Wilson will be the administrator and Winmill will be a facilitator. The first band meeting is to take place during the evening of Monday, March 18 and those who are interested in joining are welcome to attend. The hope is for the band to grow to include roughly 40 members and to create a complete concert band full of percussion, brass and woodwind instruments. Everyone is welcome to join, however it is asked that a musician have at least two years' experience playing before signing up. At the same time a performer doesn't have to be a musical master to participate. “Not only is it social but the exhilaration that comes from performing for an audience is hard to beat. My goal is to make the practices a fun place to be and to create a large repertoire of music so that we can cater to many different situations and do lots and lots of playing. Whether you are young or a senior citizen like me, pick up your instrument and let's get going!” said Henderson. The band will start out with an easy repertoire to include as many people's skill levels and interests as possible. The hope is to create a fun environment where people can just enjoy music. All ages are welcomed, even those who haven't touched their old instrument in several years. For those who no longer have their instrument, Winmill, Henderson and Wilson are always posting links and advertisements for instruments for sale or to rent on the band's Facebook page. Once the band gains in numbers, and in confidence, the hope is to play at community events. Winmill would like to start the band's performances at the North Hastings Music Festival this May and at Relay For Life in June. Those interested in more information are invited to visit the band's Facebook page titled North Hastings Community Band.